Boston Police commissioner William Evans spoke one-on-one with Eli Rosenberg. 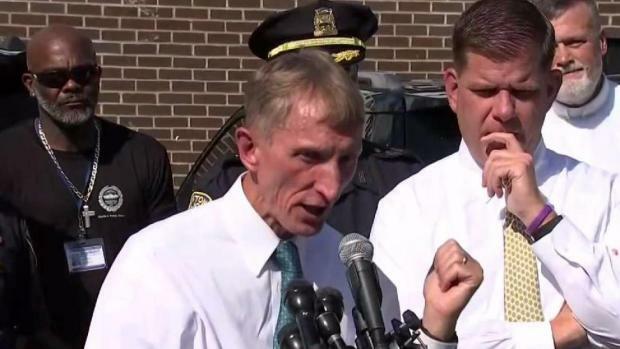 Boston Mayor Marty Walsh and Boston Police Commissioner William Evans addressed rumors Friday that the city's top cop plans to leave for another job. During a press conference about security for the Fourth of July, Walsh said he and Evans "have not broken up, and we are still together." Still, Evans took a question about his potential plans to leave the department after a report suggested he was leaving for a job with Boston College. "I've loved this job every minute I've done it," Evans said at the press conference. "I'm going to continue to love it." Mayor Marty Walsh and police commissioner William Evans addressed reports that the Boston's top cop is planning to leave. Evans has been with the Boston Police Department since 1982. He became commissioner in 2014. Friday, he gave no indication he's ready to go, praising Walsh's leadership. "I got a great boss. I love meeting people," Evans told NBC10 Boston in an exclusive interview. "This is the fun part of my job. The worst part is getting the call at 1 or 2 in the morning that we got a young kid shot in our city." The commissioner and mayor also addressed security measures ahead of the Fourth of July, explaining at the news conference that there would be an increased police presence along the Esplanade and in other parts of the city. "We care about the community. 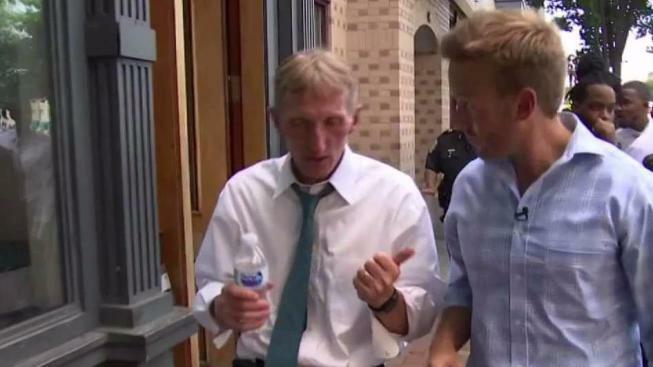 We want to meet people, hear their concerns and see how we can help them," Evans told NBC10 Boston. "It is all about us working together to make sure we have a safe summer." Neither he nor Walsh directly refuted the report that Evans would leave. But he says he remains focused on his job serving Boston. "I love the city. I grew up here," he said. "I grew up in this city, and I'm going to continue to work hard to make this city. But the community has been very supportive.